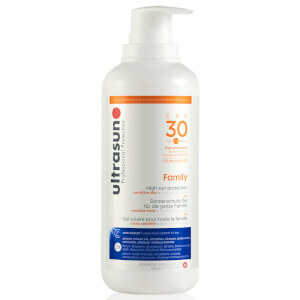 I purchased spf30+ sun lotion last time for three bottles, that's amzing great! Mosituring and light-weighted! But this one is completely different ! Dry my skin and rubbing mud..... really disappointing thing! What's more, it's a huge bottle, 400ml. Maybe it's better for summertime, not the best choice for autumn and winter. Used this product on all the family , for last few years. It may appear exspensive , but you only alpply once a day. My two kids are in and of pool. Not once have they burnt. Still got a great tan. Love ultasun.! Started using this last year and it's my go to sun screen now. 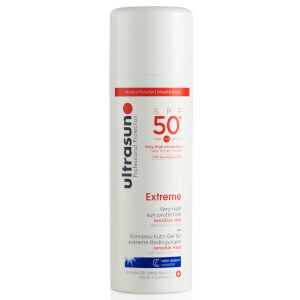 Very good product - very effective sun protection, doesn't leave a greasy residue on the skin either, just feels smooth and has a silky sheen to it.. Doesn't transfer onto clothes and doesn't make you feel hot and sticky wearing it. Will definitely keep buying. This is a great product - started using it last year and decided to go for the larger bottle this year as it much more cost effective. The product is really good - goes on and soaks in just leaving a silky sheen to the skin. There's no sticky residue so no marks on clothes and it doesn't make you feel hot and sticky either, in fact it's feels very comfortable. Good level of protection too - never had any problems with burning with this on.